They look great. I had a gap in my Zastrow (due to one being sacrificed in a conversion that really did not work) so filled it with a spare Front Rank Frenchie painted up as a general. It gave me the excuse to paint him with red breeches, but I wonder if that was right? Cheers Liam, yes red breeches were pre 1810 I think I read in Rawkins. As far as I recall, Borodino was a bit after that…..
My general is no fashion icon. Conservative sort of chap. He kept his favourite pair of Breeches and hang the rest of them! Knötel puts one in red breeches in 1812. But another image from Saxon aarmee history, in white. Maybe I will do one in pink. Stripes. Red and white candy stripes. Rather fetching I would imagine. Striped one works both period! So far most of mine are for cavalry, good. Like when I searched if coukd have funny looking Russian geberals. Duh they do follow strict regulation. Found only two who got promoted during the 182 campaign, no tile for tailor made new stuff. Esp one who died mid way. Thanks von Winterfeldt, good to know! Might even add it to help the distinction from other command. 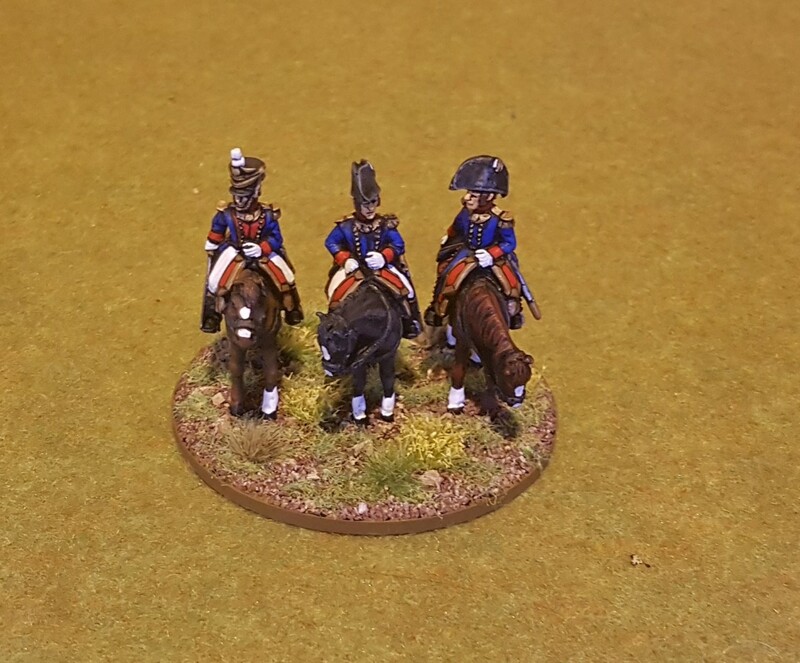 Also don't know of anyone who makes 28mm Saxon generals with gold scalloping on the bicorne.